Editorial Note: When the latest trailer for The Hobbit: The Desolation of Smaug was released, I was quite taken with the hero shot of Thorin, especially since the first trailer had (in my opinion) not nearly enough Thorin. I posted a link to the trailer on my personal Facebook page, and my friend Karen commented that she was taking a liking to Thranduil, king of Mirkwood and Legolas’ father. I replied that he was being rather Lady Catherine de Bourghish, as he was advising Evangeline Lilly’s character Tauriel to guard against raising expectations in Legolas that could not be fulfilled. All of a sudden we’re in a Jane Austen novel! Karen demanded a parody. I demanded payment, to wit, one screencap of Thorin’s hero shot. Heather delivered it within moments, and I was stuck writing obliged to write the parody. Not that I minded very much. It’s worth the payment, plus being a lot of fun. I don’t know about you, Gentle Readers, but I’d write just about anything for that. 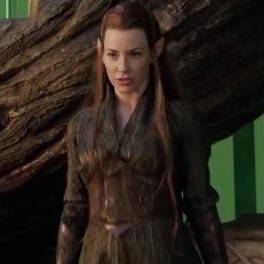 Since Tauriel is not in the book, but an original character created for the movie by Peter Jackson and company, I went looking online for information about her character, and found this. Seriously, we are in a Jane Austen novel, y’all. Thus, in fulfillment of a debt and for the lawls, herewith we present a little bit of silliness, where Jane Austen meets J.R.R. Tolkien and tells him he needs some more chicks in his little stories. …and some things that should not have been forgotten were lost. History becomes legend, legend becomes myth; but Jane Austen will always be EVERYWHERE! It is a truth universally acknowledged that a single elven prince in possession of a good female fanbase must be in want of a princess. The twilight was growing as Legolas and Tauriel arrived at the treehouse. To their astonishment, they found a large moose with a tremendously wide and extensive rack of antlers tied to the tree, munching the grass contentedly. Tauriel wondered how whether it would be able to pick up its head again, considering the weight of its antlers. Thranduil and Tauriel climbed the spiral staircase into the treehouse. Thranduil made tea, and Tauriel watched him as he fussily but perfectly poured it. “How could I ever think him like his son?” she thought, smiling as she remembered Legolas making tea from tree-bark one desperate night in Fangorn, expelling it in a spectacular spit-take as he tasted it and the trees muttered around them. Finally the Elven King spoke. Thranduil seemed pleased; the edges of his lips twitched into something like a smile. Tauriel gasped; she thought she had removed all the drawings from Elfbook, but apparently Thranduil had found out by some means. He truly must have the Sight. Thranduil’s back remained ramrod-straight as he descended the stair, not deigning to acknowledge that Tauriel had spoken. ← Lords and Ladies and Sirs, oh my! 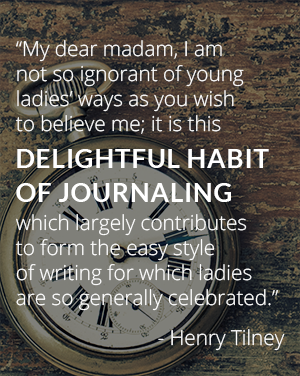 A bit of silliness from the Editrix on her personal blog. After observing that Thranduil was a bit Lady Catherine de Bourghish in the latest trailer for The Hobbit: The Desolation of Smaug, Certain Parties plied us with screencaps of Richard Armitage and demanded a parody. Challenge accepted.